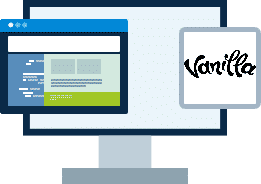 Hosting for your Vanilla website that just works. Servers optimized to give you the best Vanilla experience possible. We’ll even install Vanilla for you! We’ll move the Vanilla site for you! Softaculous auto-installer – Install Vanilla in just a few clicks. GD support – Needed for many Vanilla plugins. Zend and Ioncube support – Needed for some Vanilla plugins. Vanilla is an open-source, pluggable, themable, multi-lingual community-building solution. It is specially made to help small communities grow larger through SEO mojo, totally customizable social tools, and great user experience. 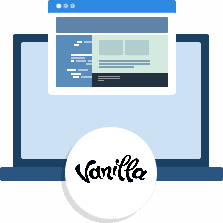 Vanilla is also built with integration at the forefront, so it can seamlessly integrate with your existing website, blog, or custom-built application.